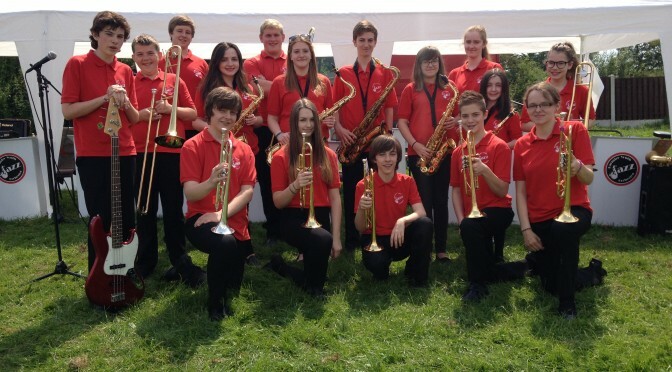 The Barnsley Youth Jazz Orchestra was formed in 1978 for the pupils of the Foulstone School by the schools former music teacher Holin Hammerton. While Holin was teaching he set up The Barnsley Youth Jazz Association which incorporates The Dearne Big Band and Singers, The Barnsley Youth Jazz Orchestra, The Barnsley Youth Swing Band as well as various other groups. Sadly Holin passed away in 2010, leaving the organisation in the capable hands of his son Danny Hammerton & Loraine Cawood. The Barnsley Youth Jazz Association is a nonprofit making music service based in Barnsley, South Yorkshire. We aim to provide individual music tuition at an affordable price. We offer a very good value for money system using excellent, enthusiastic teachers and good quality instruments. We are confident that our services are difficult to beat locally. Our ethos is “Music For All” and we offer anyone the chance to experience the magic of music and the fellowship of being part of a band. We loan pupils instruments, provide tuition at a significantly discounted rate and actively encourage them to achieve formally recognised music qualifications whilst having fun along the way.